So happy to finally be able to reveal the NEW LOCATION of the studio! 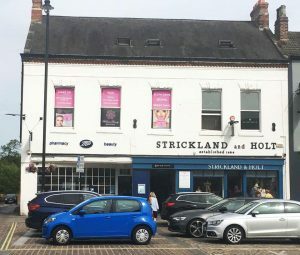 We will now be based above Boots on the High Street, formally known as DC Hair Extensions across the road from our current location! FREE CUSTOMER PARKING behind…what other salon can offer this?! No more stressing looking for a space and paying for a ticket! cocktail maker and prosecco pourer! amazing new products and brands to be stocked! LAUNCH PARTY COMING SOON…please keep an eye out on our Facebook page if you would like an invite to our exclusive opening!